Considered a pioneer in tertiary education since starting in 1975, Griffith University has since become one of Australia’s leading online education providers, and have ranked in the top 3% of universities from around the world.Since entering the realm of online education over 20 years ago, the globally recognised institution has reinvented the way thousands of students learn with their online courses. 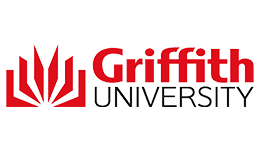 Griffith University offers more than just an education and are passionate about innovation and new ways of thinking. The accelerated online Business Administration courses will challenge you to understand what business is really about and how you can personally make a difference in the 21st Century.